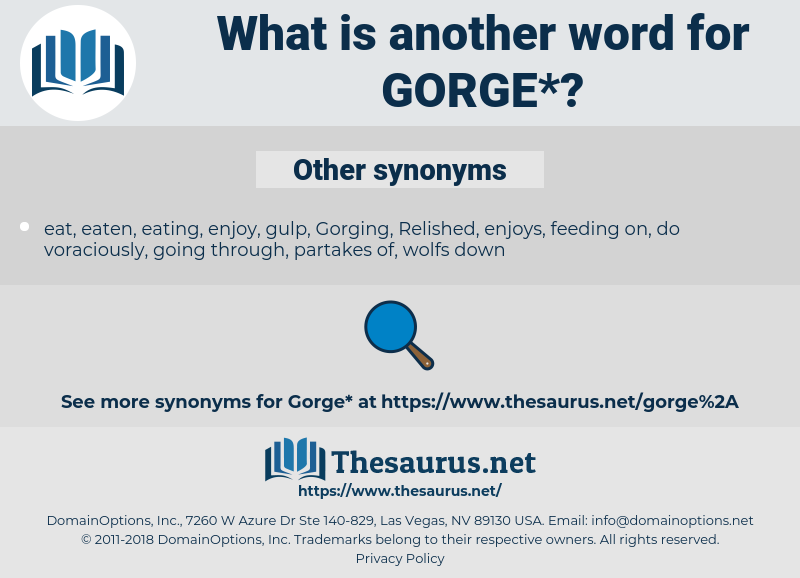 What is another word for gorge? The throat: a narrow pass among hills: ( fort.) the entrance to an outwork. diet, starve, dissatisfy, fast, deprive, nibble, open, deplete, abstain. 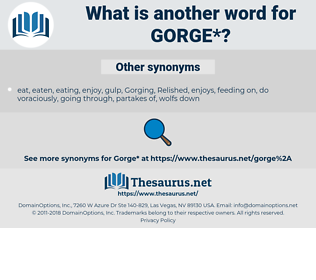 Dusk had already fallen before he came to the gulch, and he had to strain his eyes to find the narrow trail which descended the side of the gorge. Above the upper crossing there will be a lot of heavy rock work to do, but nothing unusual, and, once through the gorge, we come out into the valley, where the other roads run in from Cortez.